Since 2011, crowdfunding efforts have more than tripled, and current campaigns are projected to raise more than $34.4 billion worldwide in the next year. But what started out as a way to enable businesses and individuals to raise money for creative endeavors without relying on such traditional financing sources as banks—take the Veronica Mars Movie Project, which raised over $5 million on Kickstarter in just 30 days. Projects like this with big names behind them have morphed into a means for literally anyone to ask for money … for literally anything. When it comes to personal crowdfunding, there is a social stigma that money-talk-isn’t-polite and crowdfunding is often something to sneer at. People don’t want to lose face. There is the idea that one must always put up the persona of success in life and never appear as if you are in need of help or not perfect. So why do it? Because sometimes, we have to realize that we can’t do everything alone. For those who succeed on crowdfunding, they often have a goal greater than themselves. Many times, great things don’t happen on their own. Support is needed, and this is what personal crowdfunding is about. 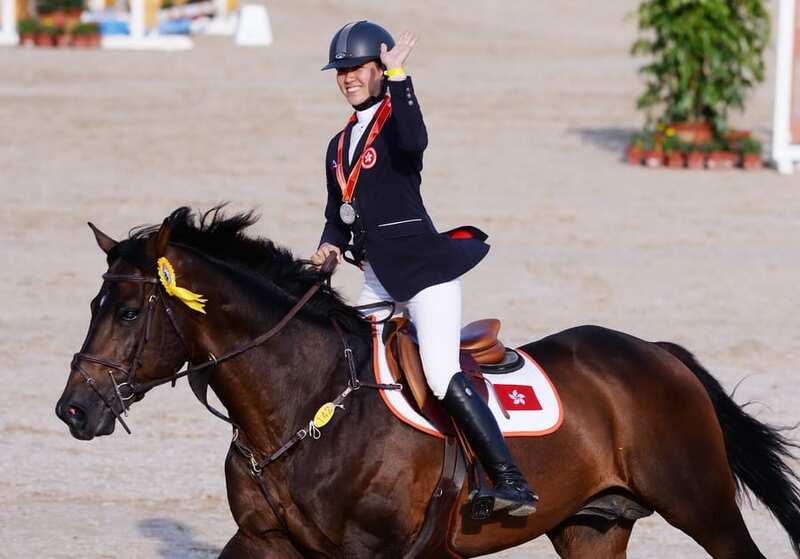 Take Jacqueline Lai Jing-man, an international equestrian who has been representing Hong Kong in the international equestrian circuit. She had a traumatizing fall during one of her training session where her pelvis shattered under the weight of her horse and she needed all the support, both emotionally and financially, so that she could stand up and compete again. For this, her friends, family and public did not let her down. Her crowdfunding on FringeBacker has helped raised almost HK$500,000, and since then, she went on to win many competitions worldwide, including a silver medal at the 2015 All China National Games. She was most recently chosen to be Hong Kong’s only representative in the 2016 Longines Masters, a prestigious CSI5* showjumping competition. There aren’t many opportunities like these that come by where a strange can lend a helping hand to an international sports star and get gratification out of doing good. In the case of personal crowdfunding, one advantage that all such sites offer is that you don’t have to look anyone in the eye when making your request. You can ask everyone without having to ask anyone in particular. It’s also less aggressive than making a one-on-one plea. It can be a great opportunity for people to simply spread an inspiring story. There are plenty of people making personal funding requests worldwide, Indiegogo has introduced Generosity, a new community for showing and sharing compassion through socially conscious fundraising, GoFundMe plays host to numerous new personal campaigns each day, and FringeBacker has seen their fair share of compassion. The most common category is medical expenses, followed by memorials and funerals, general emergencies and education costs. In our society where everything is abundant, it is even more important for people to come up with new ways of showing compassion, doing good, and give more to others. Online memorial funds optimize this idea of giving more. Families are in times of mourning and money is the last thing that comes to their mind. Friends and relatives can help the family in need and remember loved ones by setting up memorial pages to help out with the immediate expenses that come from a funeral or sudden loss of income. With an online presence not just friends end up donating to a memorial fund but strangers who had never met but are touched by someone’s life story. There was a recent case in Hong Kong where the sudden passing of a father, who is the family’s breadwinner, left behind a 3 year old son. A memorial page on FringeBacker has helped gathered friends, family and former students of the deceased to raise enough funds to see the family through these difficult times. “We will do all we can to put the funds into good use. There is no way to compensate for Tristan’s loss, but hopefully the love and care that he receives will give him the strength to grow up and be a good man like his father,” said the family. As funny as that scenario is and a genius idea for future buskers, let’s put this image aside when thinking of personal crowdfunding. Let’s think instead of the more positive images. Of course, there are people currently on the internet trying to crowdfund meals, student loans, their rent and frivolous Christmas parties, but let’s look at the other side of the coin. Let’s think of people working hard to achieve personal dreams, raise money for those who left this world too early, people raising money for charities and future projects that haven’t come to be yet. There’s no losing face in trying to dream big. Let’s put ourselves out there in 2016.